In the United States today, over 120,000 people await organ donation for life-threatening illnesses. Unfortunately, twenty-two people die each day because demand far outweighs supply. However, that may soon change. 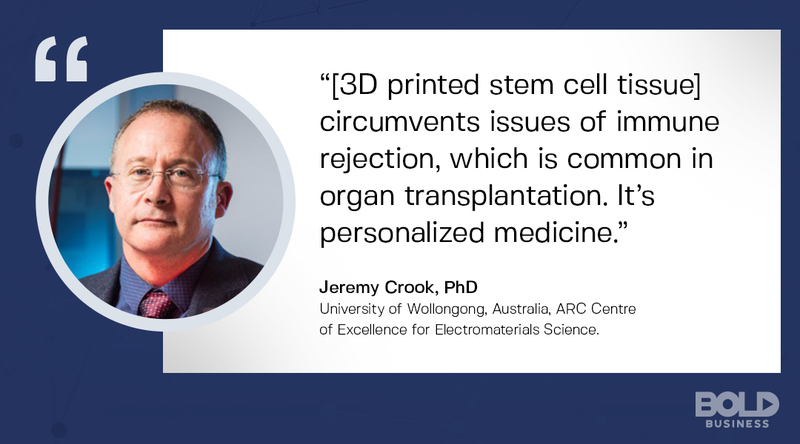 Radically, bold moves in stem cell research and 3D printing are offering new hope that may eliminate the need for organ donation. Additionally, these same discoveries have tremendous implications for neurological disorders. 3D printing for medical use and neurological stem cell technology could eventually be a mainstream technique. Several innovative companies and bioengineering experts are leading the way. The demand for organ donation outweighs supply. Will stem cell technologies save the future? 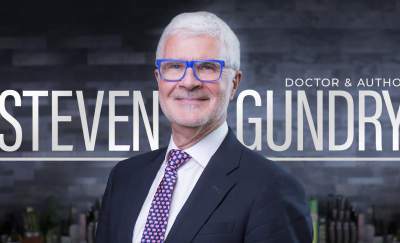 The use of neurological stem cell technology is not necessarily new. In fact, researchers have actively studied stem cell research for Parkinson’s disease and spinal cord injuries for many years. But 3D printing for medical use is accelerating the potential of neurological stem cell technology. There were injections or surgical implants of stem cells available in the past with the hope they would survive and function. However, there were limitations to the positive outcomes from these studies. With 3D printing for medical use, however, results look to be much more promising and exciting. The printing “bio-ink” for medical 3D printing are stem cells. Of course, the ink requires a special kind of “paper” for printing. Interestingly, bioengineers utilize other types of structures for the printing of neurological stem cell technology. The resultant 3D structure then allows these stem cells to develop into specific neuronal tissues or even neurological organs themselves And because stem cells come from the person being treated, tissue rejection chances are much less. Less chance of organ rejection means more lives will be saved. Brain transplants are not on the horizon…yet. But 3D printing for medical use offers tremendous potential for treating common neurological disorders in the very near future. Specifically, neurological stem cell technology could be a key to treatments in Parkinson’s disease, epilepsy, brain trauma, and even schizophrenia. In essence, 3D printing for medical use could allow neurological stem cell technology to replace dysfunction or degenerative neurons. At the University of Wollongong in Australia, researchers have been pursuing this approach for over a year. They printed pluripotent stem cells onto a 3D scaffold to create neurons that made specific brain chemicals. The goal is to then place these cells in the brains of patients with specific conditions lacking these neurotransmitters. This is how neurological stem cell technology could restore function to a variety of neurological illnesses. 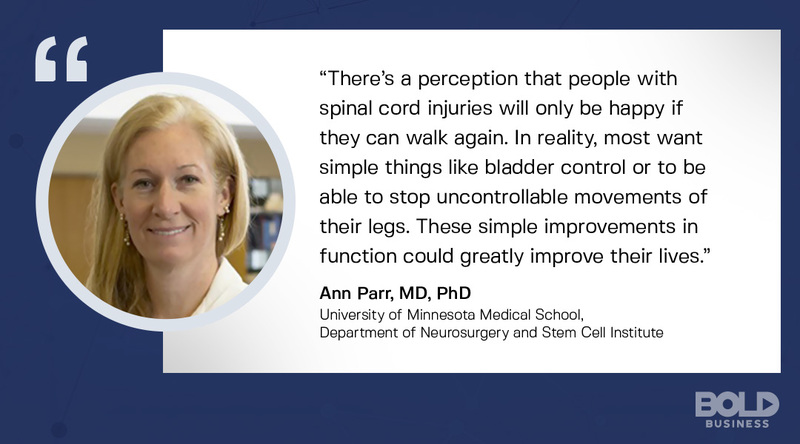 Dr. Ann Parr focuses on the smaller, more important aspects. In addition to treating neurological diseases of the brain, neurological stem cell technology also offers promise for spinal cord injuries. In the U.S., over 17,000 new spinal cord injuries occur each year with notable disabilities. However, at the University of Minnesota, researchers have successfully used 3D printing for medical use to help these individuals. Funded by Conquer Paralysis Now, specialized stem cells are printed onto a silicone structure. This structure is then inserted as a “bridge” between healthy spinal cord areas. Researchers are finding that roughly three-quarters of the stem cells are surviving, which is a marked improvement. Thus, this form of neuromedicine could offer a radical new option of care. Indeed, 3D printing for medical use and neurological stem cell technology is exciting in terms of new disease treatments. But other companies are advancing discoveries by facilitating neurological research. 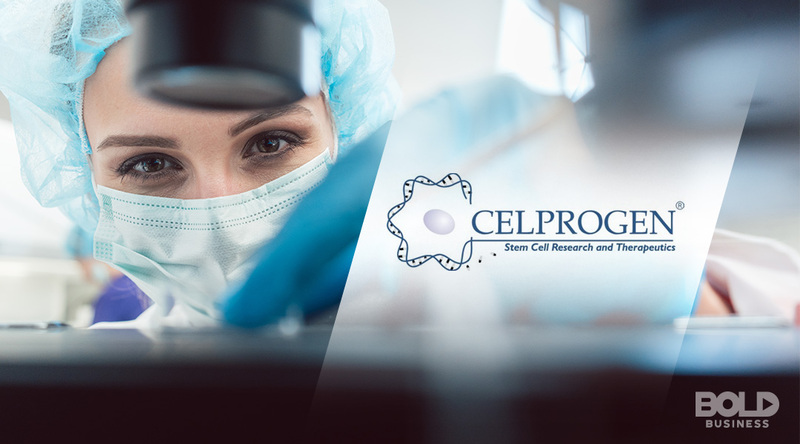 Celprogen, Inc., is recognized as a bold business leader in stem cell research and therapeutics. Recently, the company successfully used 3D printing for medical use to recreate an entire brain from stem cells. While this does not offer any direct treatment options, it does enable researchers to have access to brain tissue for study. This means that there is an acceleration in the capacity to understand neurological diseases and research the effects of new drugs. For example, stem cells from a Parkinson’s disease patient could recreate a “Parkinson’s brain” for active research. Not only does this avoid animal research, it speeds up the investigative process as well. Several obstacles exist for 3D printing for medical use. For one, all tissues need blood circulation. Matching up a person’s existing blood vessels with that of 3D-printed tissues poses a challenge. Likewise, some stem cell types have the potential for developing into tumors called teratomas. However, ongoing research is actively looking to solve these problems. And thus far, there clearly spells progress. 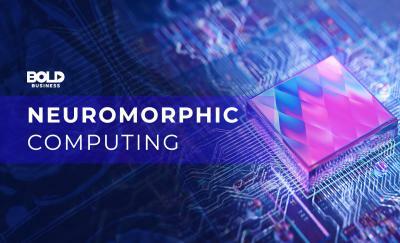 Given the speed at which these developments are proceeding, 3D printing for medical use is likely right around the corner.